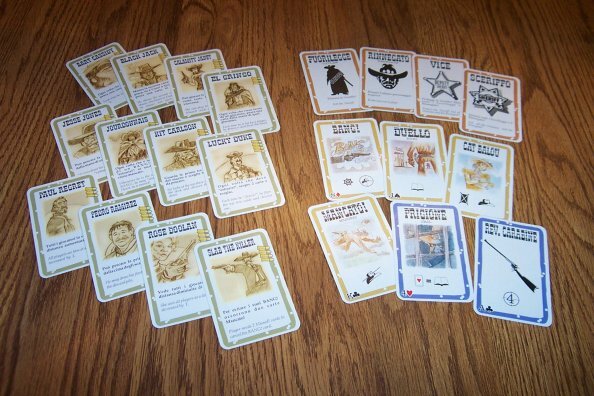 Is there a package to design playing cards (NOT ONLY POKER and similar card games, but board games like this and that) in TeX (and friends)? I'm well aware of this one and a half years old topic on drawing cards using TikZ. Almost everything can be drawn in TikZ but I look for functionality to support card design and printing. I know it can be done using LaTeX, but I hope there is a package to do this for me. Update: I've found poker.sty but sadly it seems to be limited to "Poker cards" (I don't know what's the proper name for that). For cards like this or this it's almost useless. If you take a look at the documentation of poker.sty, you find that it can generate a full deck of cards. You can download the package here. You can easily modify this style to display other info on the cards, the style file is pretty straight forward. Another option might be this style code. Although it isn't meant for that purpose, I guess you might find a workaround using the baposter.cls. It has nice options for drawing frames, aligning boxes, etc. Not the answer you're looking for? Browse other questions tagged positioning boxes double-sided or ask your own question. How do I put card backs on my cards? How do I get my cards to automatically tile? How to set a binding offset with tufte-book class?